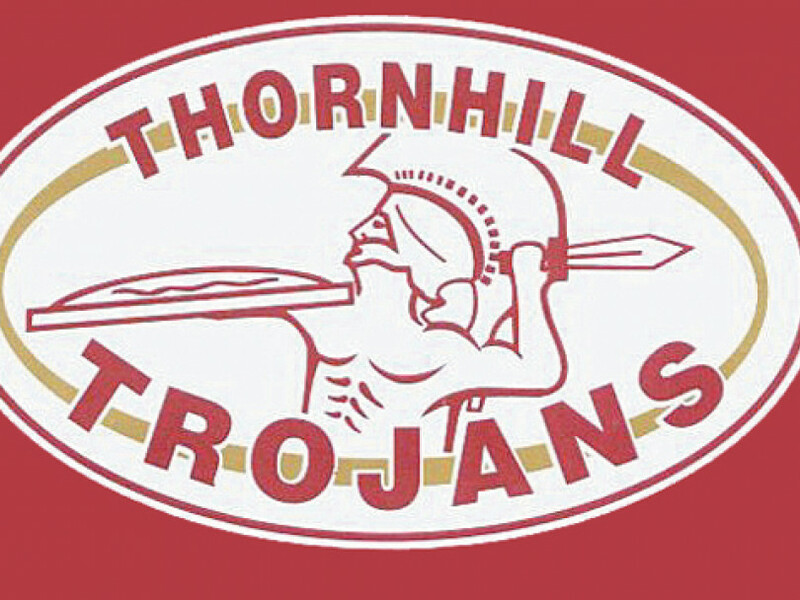 THORNHILL TROJANS were confirmed as champions of NCL Division One despite a surprise 24-12 defeat in their final away league game of the season. They went into this game knowing that they needed only a point to confirm top spot, and despite the result at York, a defeat for Leigh Miners elsewhere meant that the title was theirs. It was a much changed Thornhill team which took to the field, with several key players, including head coach James Ratcliffe, absent. Scott Dyson was left in charge of team affairs for the day and a debut was handed to 16-year-old full-back Brad Llewellyn. There was also a return to the team for Will Poching, Scott Green, Lee Smith and Jonathan Hellings. The game was played in a constant downpour, and the two teams were locked in an arm wrestle for nearly half an hour. Thornhill did appear to have scored at one point but the ball couldn’t be held in the corner. Eventually the deadlock was broken by York Acorn, as a repeat set put pressure on the Trojan line and James Bromwich ploughed under a clutch of defenders to score the try. Cheers of delight went up from the York supporters but the goal was missed. Tempers began to simmer as both teams were frustrated by the slippery conditions, before Danny Ratcliffe scored what York officials described as the best try of the season. From a scrum just inside York’s half of the field, the scrum-half collected the ball and went on a glorious run through the defence, running out to the wing before cutting back inside and heading for glory towards the posts. Casey Johnson converted to give Thornhill the lead. Right on the stroke of half-time York Acorn were awarded a penalty, and Andy Gargan kicked the goal in the final action of the opening 40 to send the sides into the break level. Thornhill began the second half with more urgency and they were rewarded when, after Declan Tomlinson’s powerful run had made good ground, the ball was worked to Anthony Harris and he charged over for a try to the side of the posts. Johnson converted. However, the longer the second half went on the more the Trojans faded. A dummy from Jake Callum sliced the Thornhill defence wide open as he sprinted away for a spectacular long range try, converted by Josh Parker. At this stage a draw would have been enough for Thornhill to secure the title, so when York Acorn fluffed what appeared to be a relatively easy penalty goal, the visitors breathed a collective sigh of relief. But the hosts weren’t finished and Reece Rushworth shrugged off a tackler to go over for a try, which Joe Budd converted. Budd then finished Thornhill off with a try to the side of the posts which Parker converted, to round off a bad day at the office for the visitors. At full-time it looked as though Thornhill would have to wait another day to confirm the title, but second-placed Leigh Miners’ 14-20 defeat to Skirlaugh ensured the Trojans could still celebrate top spot in the division. They will celebrate their title success when they finish their campaign tomorrow (Saturday) at Overthorpe Park, where they welcome Oulton Raiders.